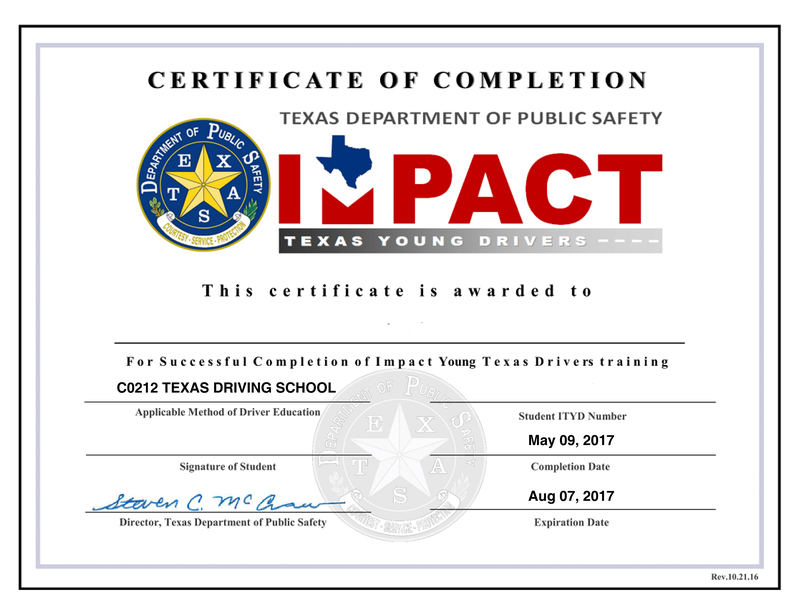 Avoid the extremely long waits and scheduling hassle of taking your driving test at the DPS office. 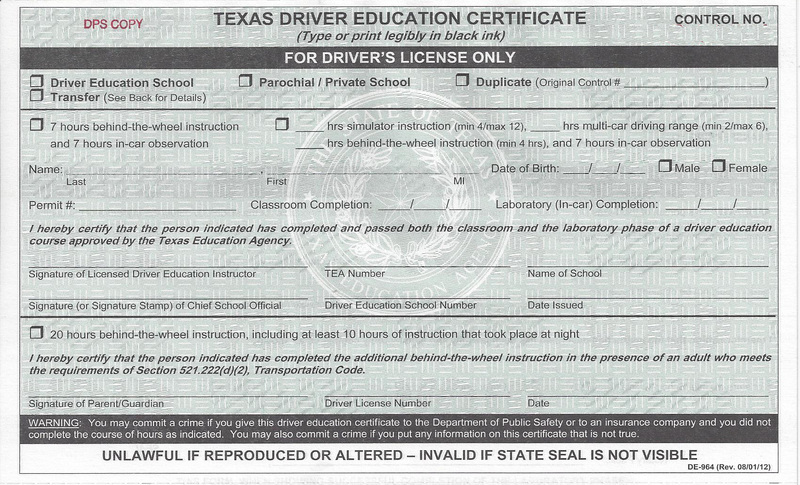 Our school is certified to offer the official DPS Road Test at our convenient school locations. Take your skills exam in familiar surroundings with examiners and administrative staff that are friendly and helpful. Smiles guaranteed! 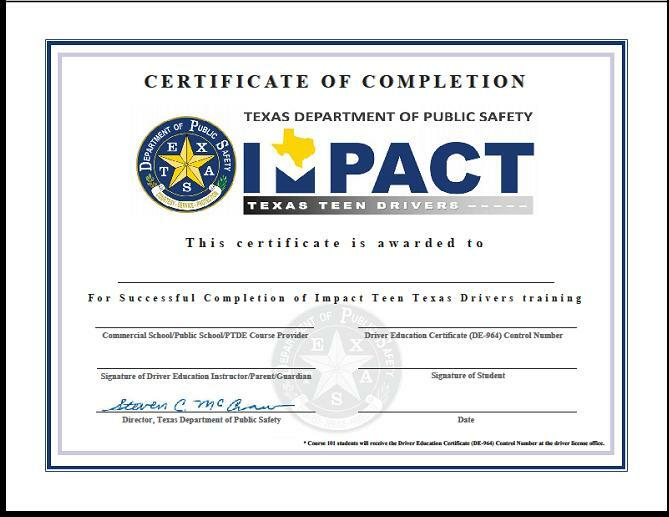 DE-964 Driver Education Certificate showing completion of a comprehensive Teen Driver Education Course consisting of 32 hours of classroom theory / 14 hours of in-car training with a licensed instructor / 30 hours of supervised practice with an adult. 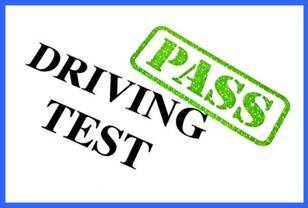 TESTING FEE – (Our testing fee includes use of a school vehicle, commercial auto insurance coverage, fuel, and school examiner. Contact the school near you for fee amount. To chose another location in Corpus Christi click here. 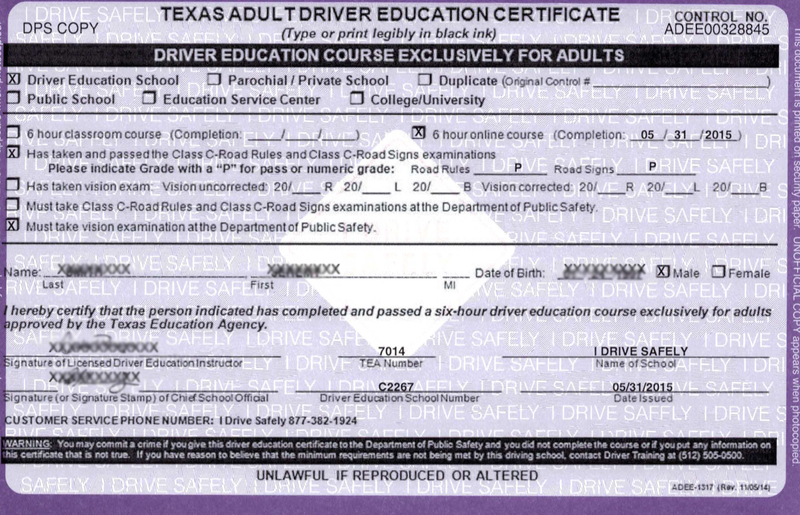 The Texas DPS Logo placed on this website is © Copyright content by the Texas DPS all rights reserved.